On the heels of recent pop music coming-out-party “O.M.G. 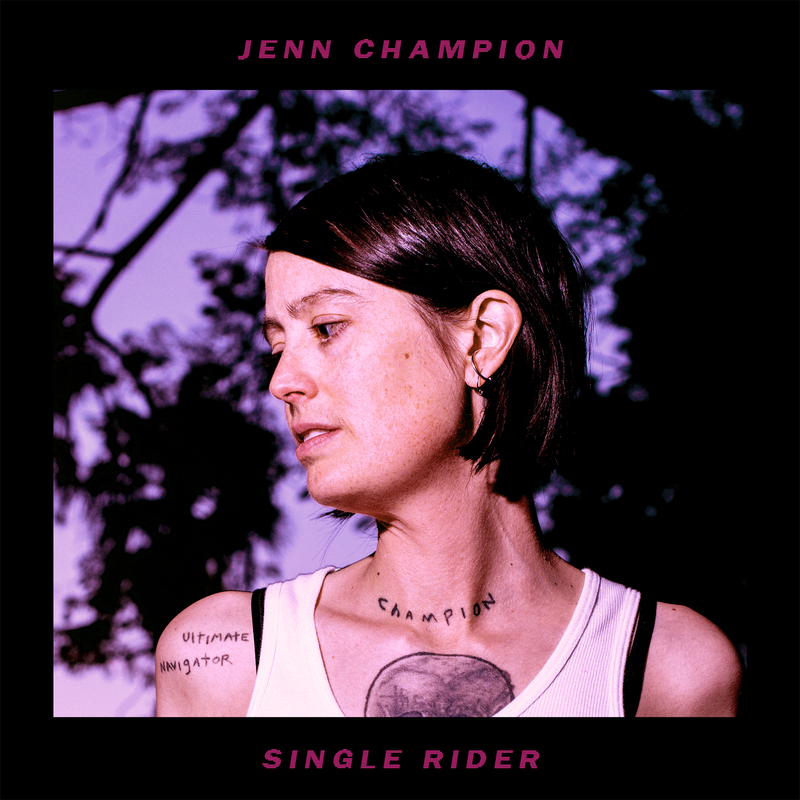 (I’m All Over It)”, Jenn Champion has announced Single Rider, her first full-length release since abandoning the “S” moniker and radically re-imagining her sound. The record – crafted in close collaboration with producer Brian Fennell aka SYML – drops on Friday, July 13th on LP, CD, digital, and cassette formats. “Time to Regulate” is your second sampling of Single Rider’s fusion of electric neon grooves and unblushing vulnerability. Listen to it in full below.